Boston-based technology expert BrainSell teams up with Dun & Bradstreet to demonstrate the integration of D&B content into SugarCRM and offer a promotion during the Wednesday, April 16 webinar. “I’ve been waiting for this for a long time,” said Jim Ward, president and CEO of BrainSell. “I’ve used D&B as a resource for decades. The business content is tried and true, and the data is of the highest quality. SugarCRM Platinum Partner BrainSell Technologies will present a free webinar with worldwide commercial data procurement expert, Dun & Bradstreet, about an exciting new integration on Wednesday, April 16, 2014 at 1:30 PM EST. The event is open to the public. To sign up, visit the registration site here. 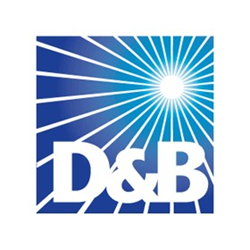 Dun & Bradstreet recently announced an integration of D&B global business content into Sugar, the popular CRM. With D&B for Sugar, users can now pull D&B data directly into Sugar with the click of a button. Customers will be eligible to receive 50 percent off their first year of service from D&B if they currently use Sugar v7 or subscribe before April 16. If they purchase within 90 days after April 16 they will receive 20 percent off of the first year of service. Companies not yet using SugarCRM are also eligible for this discount if they purchase it within the discount timeframe. The combination of the world-renowned business information source, Dun & Bradstreet, and innovative SugarCRM is sure to be an exciting one. Customers will have access to fresh, vetted data from the most trusted source of business information in the world. Sales people will love the accurate contact, lead and account information that D&B feeds into Sugar with the click of a button. For more information on this exciting integration, contact BrainSell at sales(at)brainsell(dot)net. To sign up for the April 16 webinar, visit the registration site here. BrainSell is a business solutions company that is dedicated to helping businesses grow, create a delighted customer base and achieve grand success. BrainSell provides comprehensive ERP, CRM, and marketing automation solutions and services, including training, implementation and software development. Founded in 1994 and headquartered in Topsfield, Massachusetts, BrainSell continues to grow in product knowledge and offerings. Visit http://www.brainsell.net to start improving sales and productivity today. Visit http://www.brainsell.net for more information or email info(at)brainsell(dot)net. Follow BrainSell on Facebook and on Twitter at http://www.twitter.com/brainsell.